In his business development role at FirstWatch, Marc Baker believes his mission is asking the right questions and listening to customers talk about what they need to do to improve situational awareness, operational efficiency and effectiveness. Once Marc has a clear picture of the customer’s goals, he works with his team to determine which FirstWatch tools will enable them to get helpful information out of their data systems. “My job is about matching our customers’ needs with our capabilities and products,” he says. That includes finding FirstWatch solutions that help customers stretch their human resources, while enhancing automated processes for data analysis and alerting. 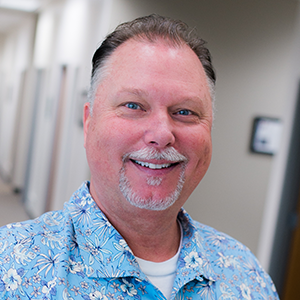 After earning a BA from San Diego State University, Marc held a number of executive level business development, sales and marketing positions in diverse industries, such as yacht sales, custom cabinets, and publishing and advertising, before joining FirstWatch in 2002. Using his more than four decades of unique expertise, FirstWatch has grown from a single deployment in Kansas City, Mo., into the nation’s top public safety data monitoring and reporting system. Marc oversees the cultivation of potential new customer relationships, as well as strategic vendor partners. Marc is active in the San Diego community and has served on the boards of; the San Diego/Imperial County Chapter of the American Cancer Society, as well as San Diego Girls Softball and Encinitas National Little League. Marc and his wife, Denise, consider themselves ‘huge sports fans’ and have spent many wedding anniversaries (birthdays and holidays) on the baseball diamond, softball field or volleyball court. Marc’s passion for sports is shared by his two daughters; Jessica & Paige and son, Corey. Marc has spent many weekends over the last 20+ years traveling to watch his kids compete in collegiate softball and volleyball tournaments.